Fifteen years ago, the site which now houses the Gardens by the Bay was little more than a grassy plain overlooking the Marina waterfront. Today, that location houses an urban planning masterpiece, a modernist work of art sculpted on top of a grassy canvas. To build the Gardens, tonnes of sand were poured into a wetland to create terra firma. British architects were contracted to create elegant greenhouses that would display curated exhibits of exotic plants sourced from around the world. Behind these sleek glass domes loom the awkward, angular Supertrees – giant structures forged from twisted steel and decorated with genuine plants. Singapore is not unlike the Gardens it created. Ours is the story of dogged determination defeating the determinism of nature. We levelled our hills to reclaim our land. Huge caverns in Jurong and Mandai carved out of solid rock. Canals turned into man-made rivers in Bishan and Punggol. Trees arranged with mathematical precision along expressways, keeping silent vigil over the cars that stream endlessly by. The government has been exceptionally successful in cementing its control within Singapore, to the point where even the natural environment has been bent to suit our will. This emphasis on control, however, goes beyond the aesthetic and superficial. The state desires control because it is terrified by the possibility of chaos – at a CNN dialogue hosted by Fareed Zakaria, PM Lee himself quipped that “If you end up with anarchy, it doesn’t mean you’ll be delivered with brilliance.” It is this fear which drives the PAP to constrict democratic discourse in Singapore. Journalists from Today and The Straits Times stay well behind opaque out-of-bounds markers, kept firmly in check by the Newspapers and Printing Presses Act. Bloggers and other online commentators find themselves subject to capricious and harsh defamation laws. Artists like Sonny Liew are kept on a tight leash by the government, their funding contingent on marching to a prescribed tune. By applying subtle, yet powerful pressure on people to fall in line, the worry is that Singaporeans have internalised the government’s external means of control. People with dissenting views express their opinions at home or anonymously on the Internet, lest Big Brother be watching. Journalists and bloggers self-censor, in case they get dragged to court by an irate minister. Parents bring up the cautionary story of Amos Yee, warning their children not to challenge the establishment. This has led to Singapore becoming a country of manufactured consensus. Much like the manicured footpaths which snake through the Gardens by the Bay, the government has been able to prune public discourse to suit its own ends. All too often, we hear politicians repeat tired catchphrases like “the moral majority” and “the silent, conservative electorate” in an attempt to shut down substantive debate about controversial issues. It is grimly ironic that in order to understand how our institutionalised homophobia hurts the local LGBT community, we have to go on Facebook or read the Guardian. In the Singaporean media, there is little mention of how the government is taking away childcare benefits from the single parents who most need government assistance to make ends meet. And there is literally no discussion as to whether we are justified in handing down death sentences for drug traffickers. An excess of control has resulted in a paucity of ideas – how can one expect most of the electorate to be anything but quiet and malleable if their diet of news comprises sterile remarks made by ministers and non-committal editorials penned by cautious journalists? The government has excelled in equipping our citizens with the hard skills to become technocrats and businessmen. But it has failed to instill within Singaporeans the political vocabulary and instinctive audacity needed to challenge convention, and improve the status quo. 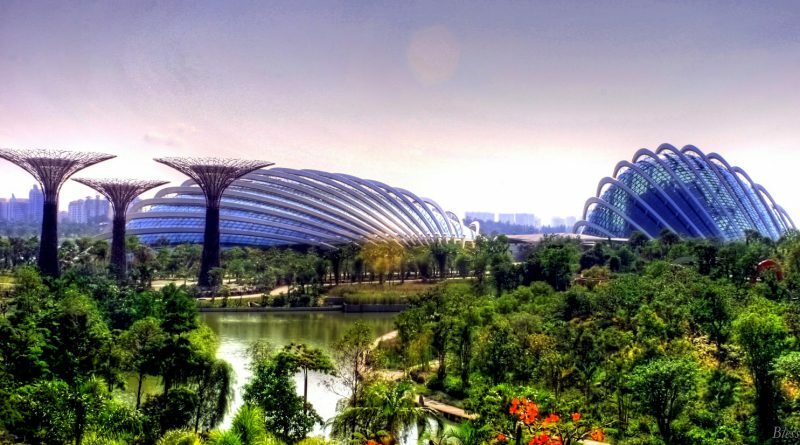 When one compares the Gardens by the Bay to the Botanic Gardens or Central Park in New York, there is a distinctly artificial sheen about its existence. It is almost as if someone deconstructed the perfect garden into its constituent factors; the brainchild of a high-flying civil servant. The same could be said, albeit on a much larger scale, about Singapore. As a nation, have we sold our soul in search of wealth and prosperity? Children are told to study more and dream less. Young footballers hang up their boots to become corporate executives. Civil rights activists are seen as naive idealists, people who have given up their careers for their pet peeves. The best and the brightest are absorbed into the pervasive state machinery, lured by the prestige of lucrative government scholarships. As much as the government is trying to broaden the social and economic definitions of success, progress is happening at a glacial pace. At family gatherings, grandparents still fawn over grandchildren who have excelled in school. Law and medical school continue to be extremely popular, to the point where ministers have warned about an acute oversupply of legal graduates. By and large, the most talented in our society continue to shun anti-establishmentarian politics, preferring to hold top positions in the civil service or retaining large paychecks in the private sector. To the casual observer, Singapore is a model city. And there is some merit to this claim – we have one of the highest homeownership rates in the world, an education system that delivers results without demanding exorbitant tuition fees, and streets that are safe to roam at night. We are a country where competence, rather than the ills of corruption and political patronage, is a guiding principle of governance. But to claim that the last 50 years of economic and national development are an unmitigated success would be blinkered and naive. Singapore’s socio-economic problems aren’t non-existent, but merely hard to find. They are tucked away, designed to be invisible to all but the most vulnerable. Migrant labourers are housed in the outskirts of town, in spartan facilities located in places like Sembawang and Jurong. The average Singaporean will never hear of the workplaces abuses that they endure on a daily basis, let alone see the inside of a dormitory. The poor are not homeless but have their plight hidden within the confines of their HDB apartment. We do not have slums, but we do have severely underprivileged estates, marked out by the prevalence of rental flats and the threatening messages spray-painted on walls by loan shark runners. Begging and unlicensed busking are banned so that the destitute do not blight our streets with their presence. For a country that claims to value communitarian values and place society over self, we seem remarkably apathetic toward those beyond our immediate circle of social concern. Our top income tax bracket is 20% of income above $320,000 a year – the top income tax bracket in South Korea is 38%. In the USA, it is 39.6%. And it is 45% in the UK. Of the Four Asian Tigers (Singapore, Hong Kong, Taiwan, South Korea) lauded by economists in the 1980s for their stellar economic development, only Hong Kong has a lower top marginal tax rate than Singapore. It is no coincidence that Hong Kong and Singapore have two of the most unequal societies among the developed countries in the world. The government has belatedly tried to rectify this, with initiatives like the Pioneer Generation Package and cooling measures on public housing helping to ease the financial burden on some families. Yet, many still face an uncertain future. Median wage increments are barely keeping pace with the cost of living. Competition for jobs is fierce and unforgiving. The bar for admission into top secondary schools and junior colleges has been set unforgivingly high. As we hurtle toward the next national milestones of SG75 and SG100, it is evident that business can no longer be as usual. The pervasive government controls that have served us so well in the past now stifle discourse and constrict political alternatives. The ideals of meritocracy and free market enterprise that dragged us into the developed world have now created a self-reinforcing cycle of inequality and entrenched privilege. It would be folly to assume that 20th-century solutions can resolve 21st-century problems. What we need now is not the sterile consonance of conformity, but rather the dynamism and dissonance that only disagreement can bring about. We no longer live in a post-Konfrontasi Singapore, where national security and economic development were undoubted priorities. Today, what we should emphasize is entirely subjective. Trade-offs take place on the margins, with unclear outcomes and conflicting interests. In an era where democratic input is needed more than ever to shape policy, our society remains stubbornly docile and passive. I am worried that the government has succeeded in turning Singapore into a garden city adorned with plastic flowers. For all our gleaming skyscrapers and steel faux trees, we really are just a showpiece city for the rich and powerful. Perhaps the Gardens by the Bay presents a poignant vision of what Singapore will be like in the future: an artificial exhibit constructed by underpaid foreign labour, open to all Singaporeans, but enjoyed only by those wealthy enough to afford the ticketed attractions. A place where the gentle curves of nature are replaced by the sharp edges of trimmed hedges and overpriced gift shops. A garden where stray branches and unsightly weeds do not belong. That is not something I wish to see Singapore become. Chin Wee is an avid debater, having represented Singapore in the World Schools Debating Championships in 2013 and 2014. He was formerly the Chairman and Editor of RI’s student journalism society, Raffles Press. When he isn’t wasting his life away on computer games, Chin Wee can be found blogging about socio-political issues at stuffaboutsingapore.com.